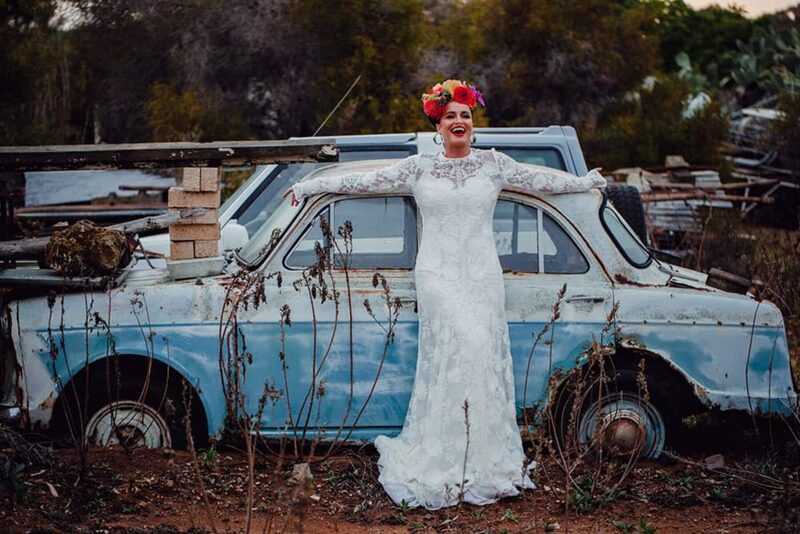 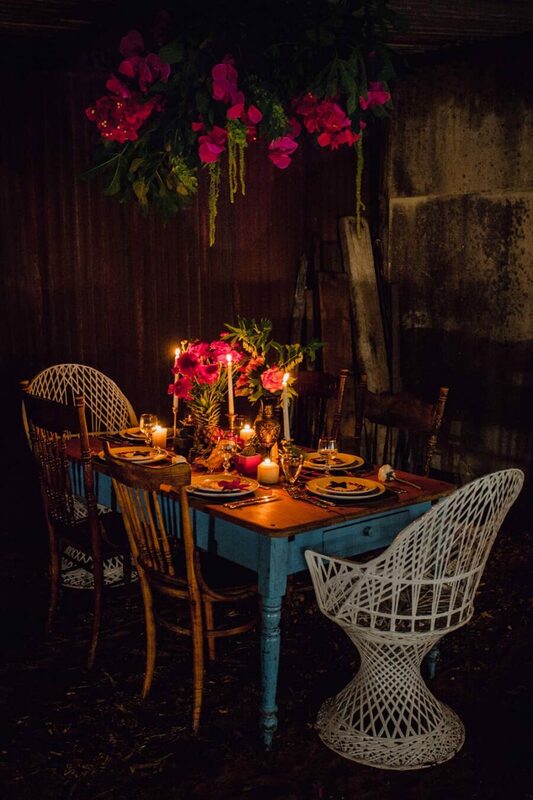 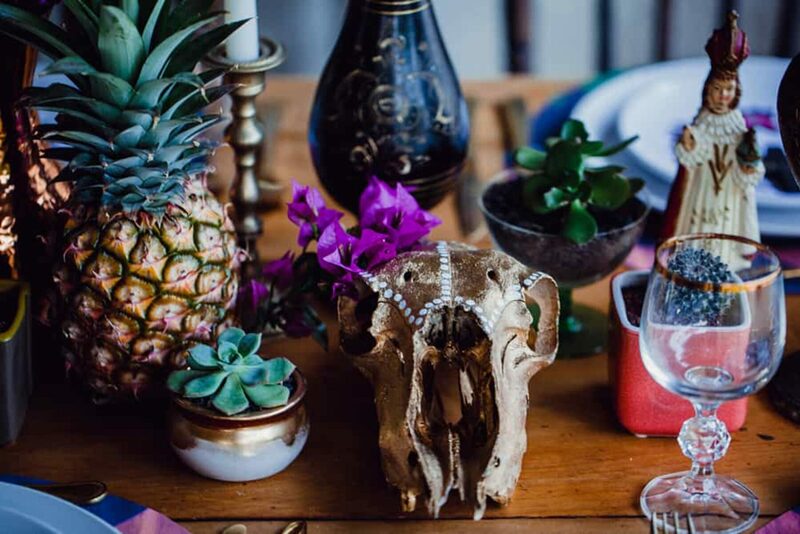 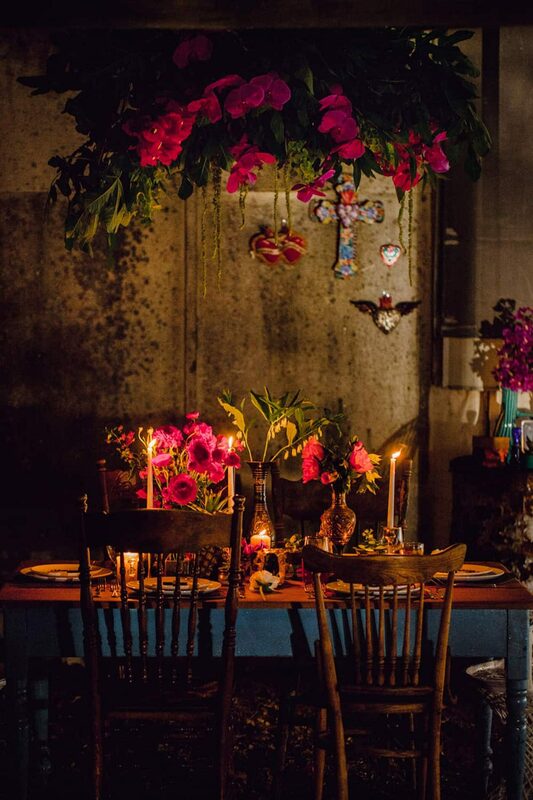 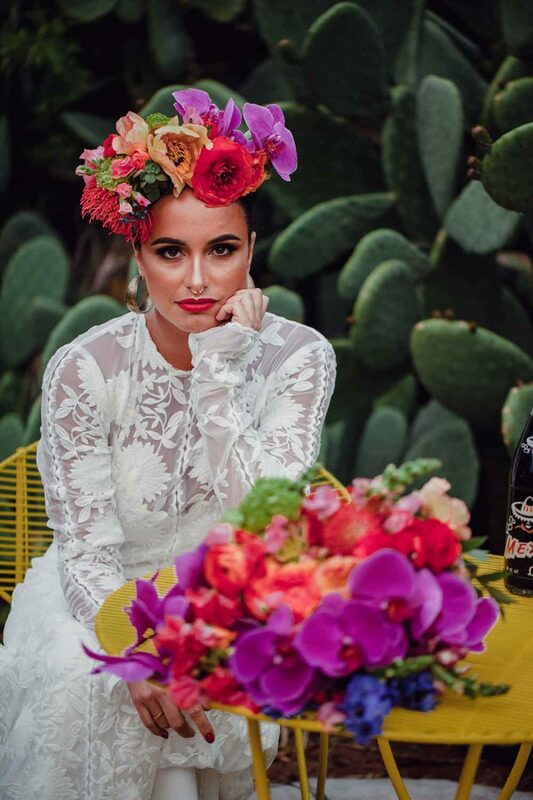 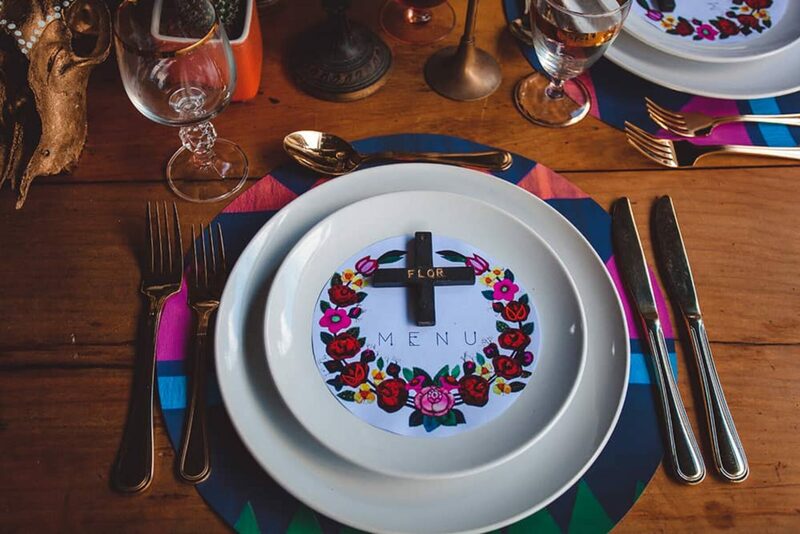 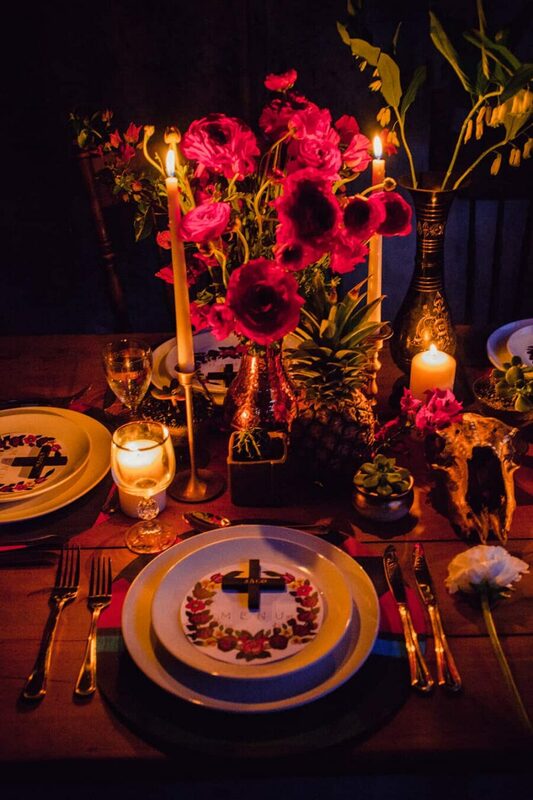 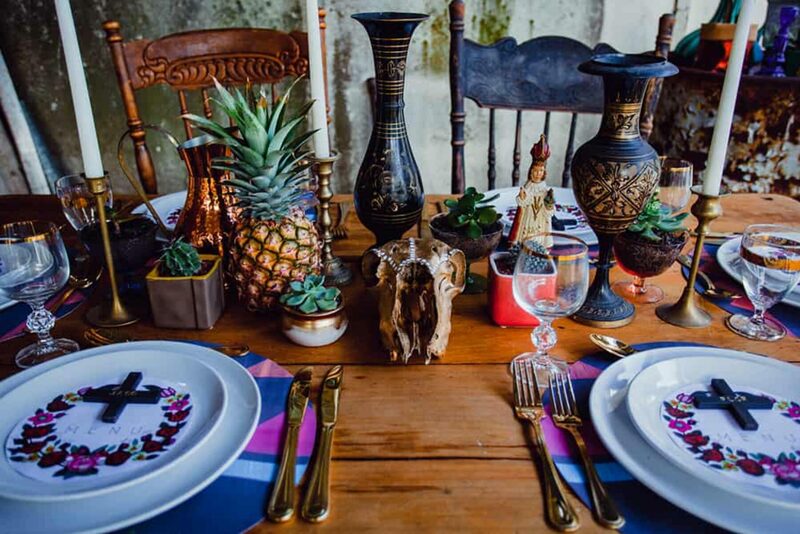 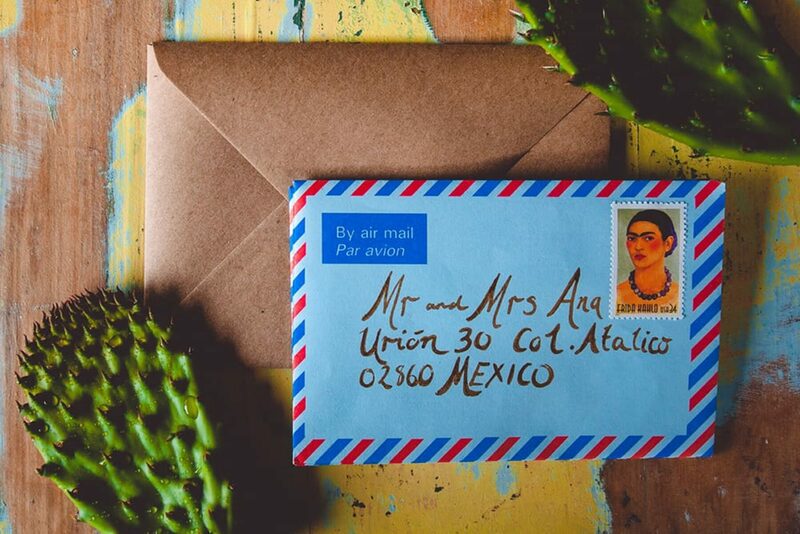 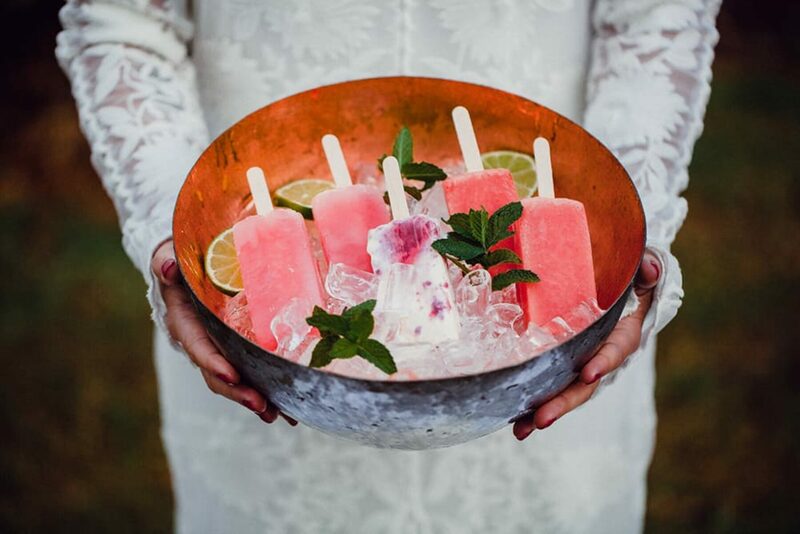 We’ll never tire of a Frida Kahlo inspired shoot and these striking scenes by Perth stylist Peak Lane are ticking all our Mexican-loving boxes. 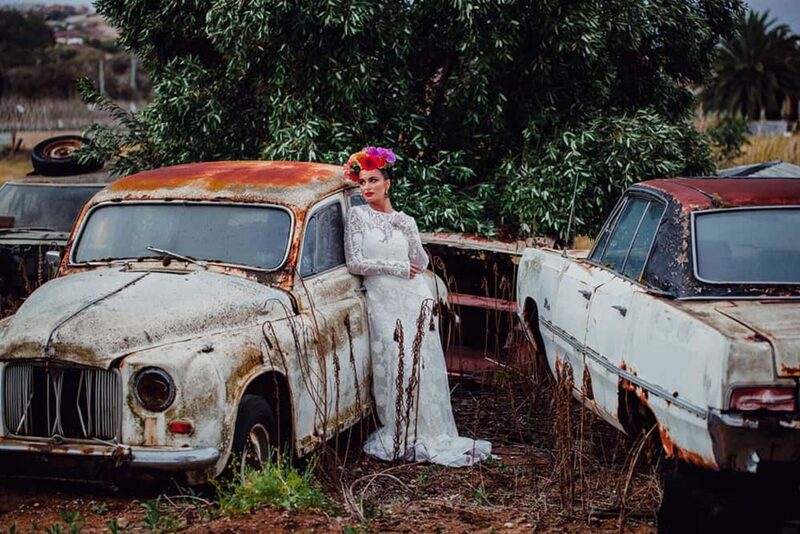 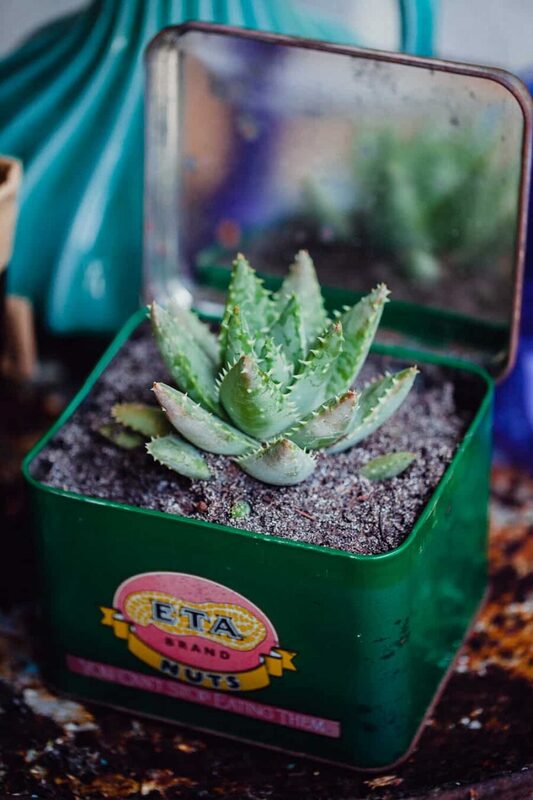 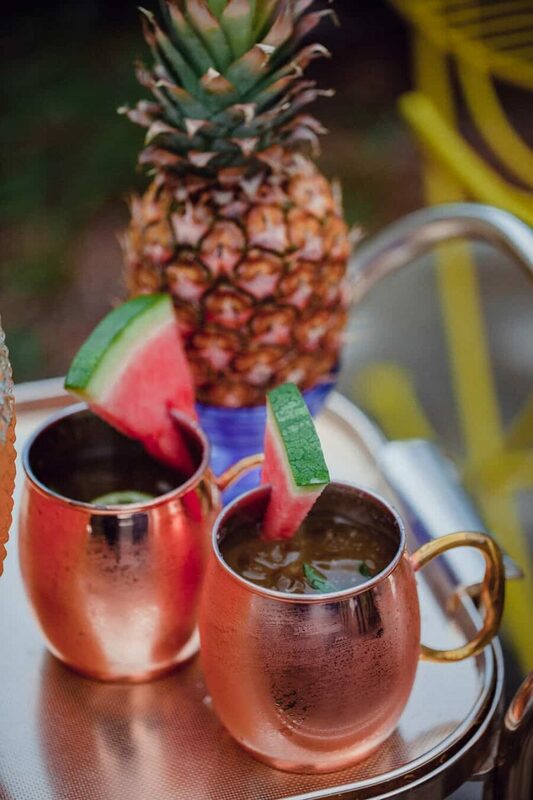 Taking cues from the giant prickly pears and abandoned caryard, we’re loving the time-warped pretty meets gritty vibe. 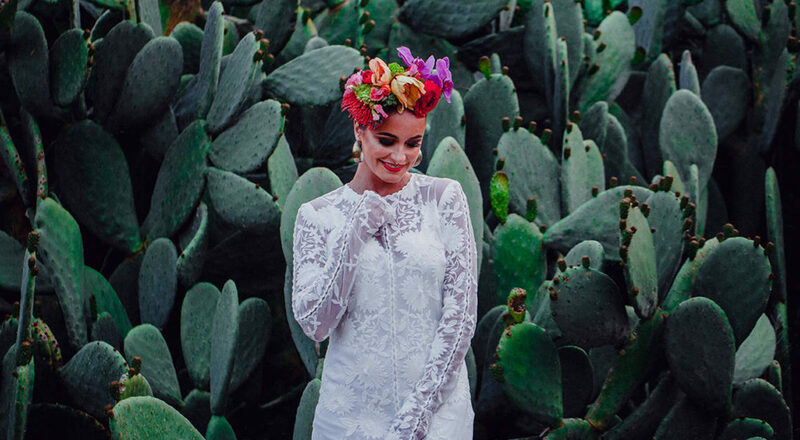 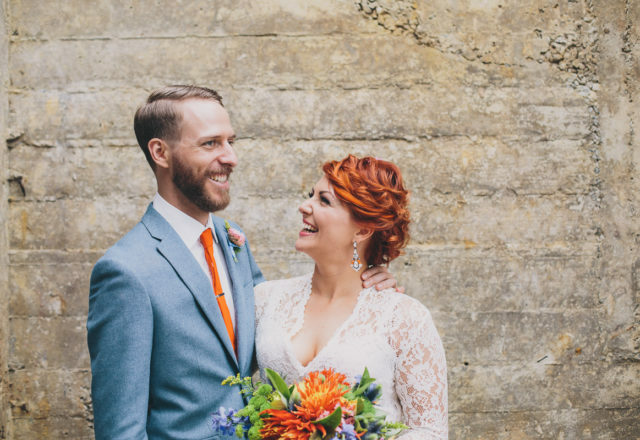 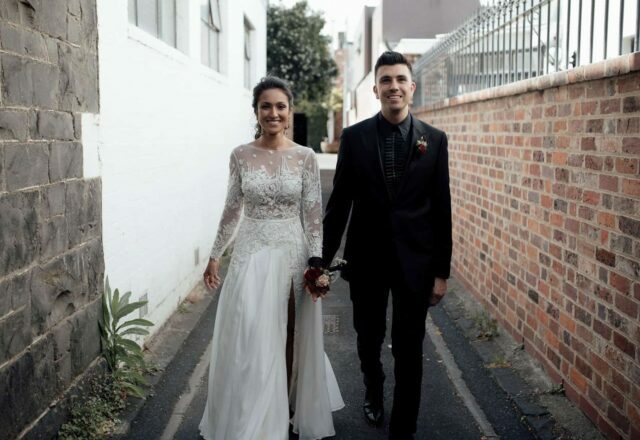 “The vibrancy of Mexican culture is so inspiring for people who want to add a colour and energy to their wedding” says Kristen of Peak Lane, who teamed up with photographer Sarah Jean and 503 Films to capture her vision. 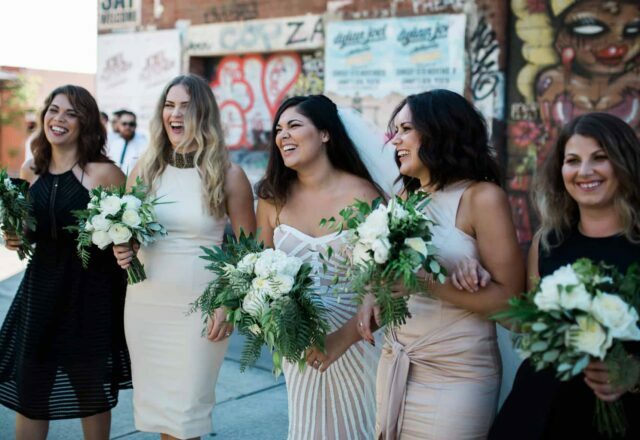 Kristen tells us the striking beauty, Joleen Traill was “carefully selected not only for her sassiness and perfect look for the theme but because she’s an advocate for ‘real’ sized models.” Looking every bit the Mexican bride, Joleen wears Rue de Seine’s Chloe Gown (from Through the White Door) like we’ve never seen it before. 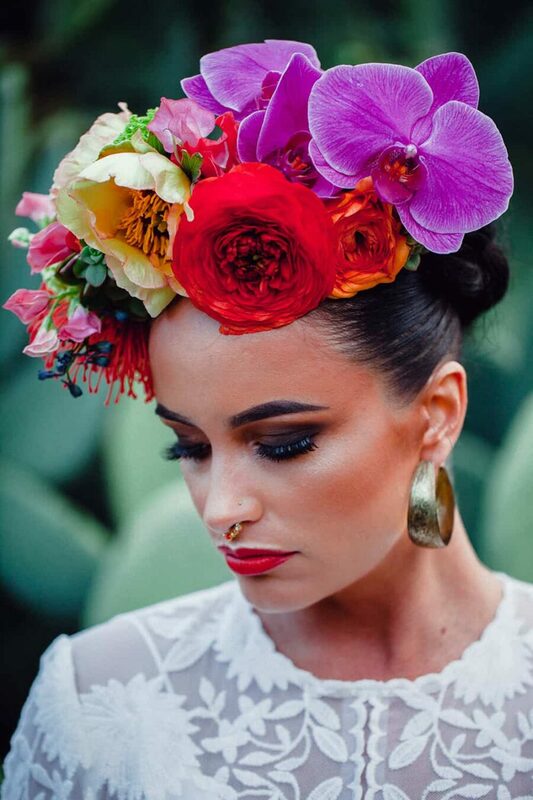 Paired with an oversize flower crown by Botanica Naturalis and gypsy gold loop earrings, she’s surely Kahlo incarnate. 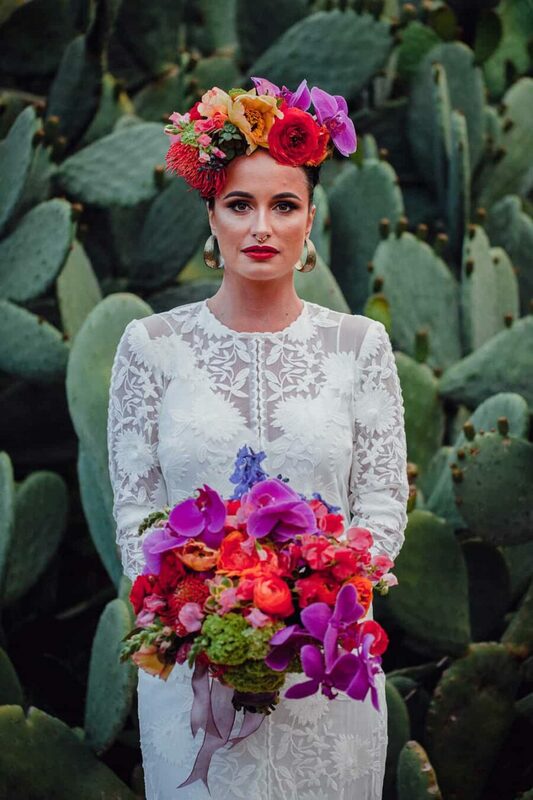 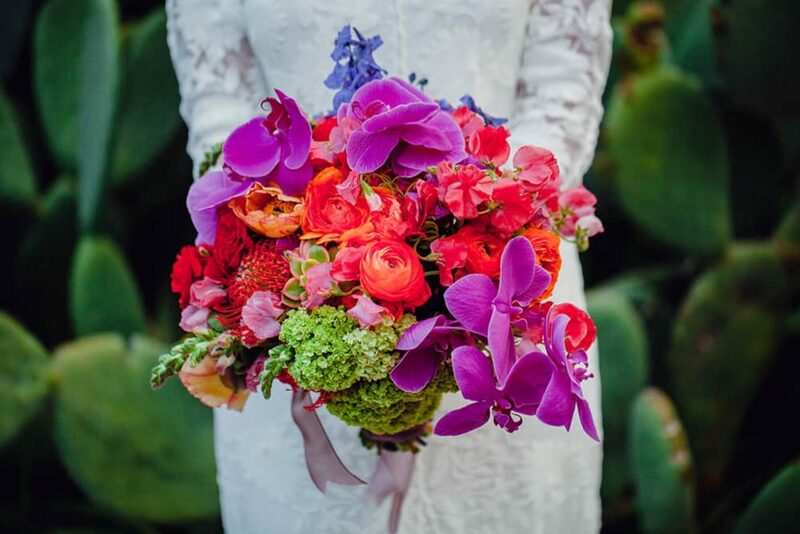 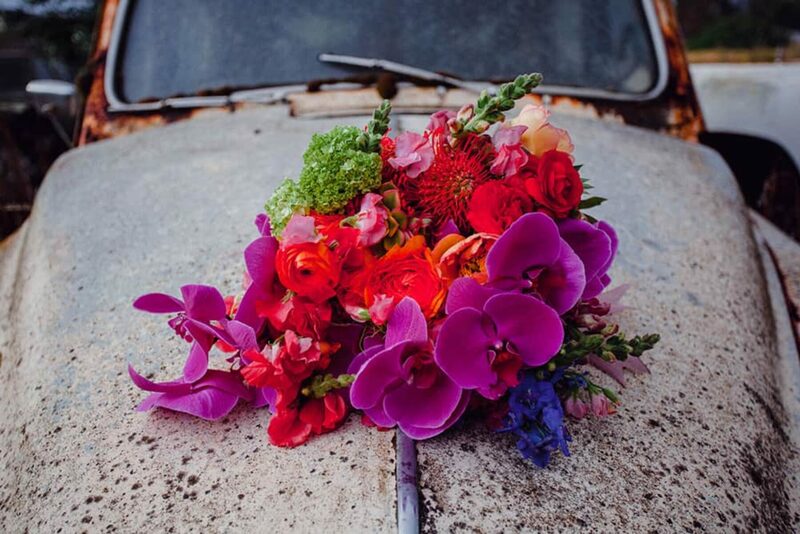 OMG, its amazing how the natural flowers and flower crowns of bright colors change the whole bridal look! 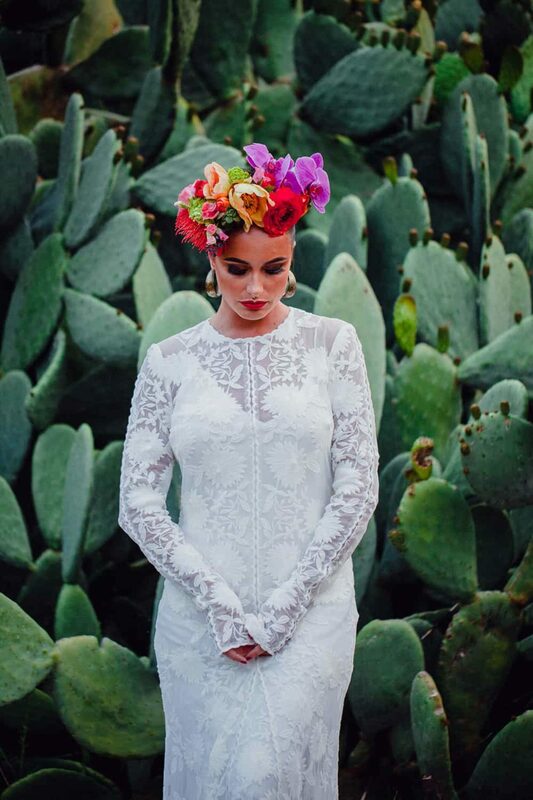 Amazing shots!